sometimes, it’s impossible for the weather not to influence my fabric choices. last weekend we were hit with a decent little rain/windstorm that knocked out power around town and didn’t let up for days. at the beginning of that storm, i pulled fabrics for my stop on the sally dress tour! 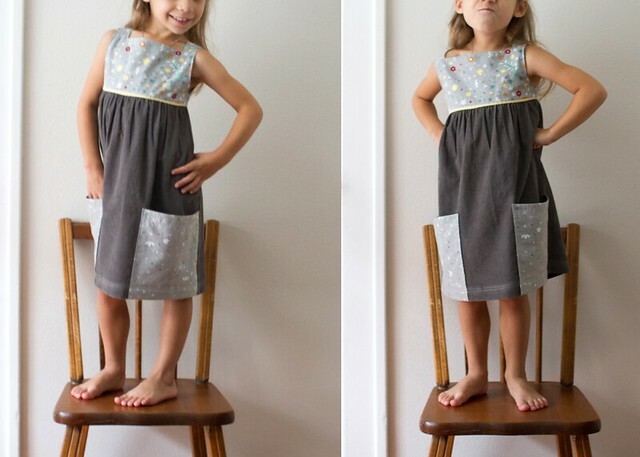 the sally dress is the newest pattern from Shannon of luvinthemommyhood / very shannon. 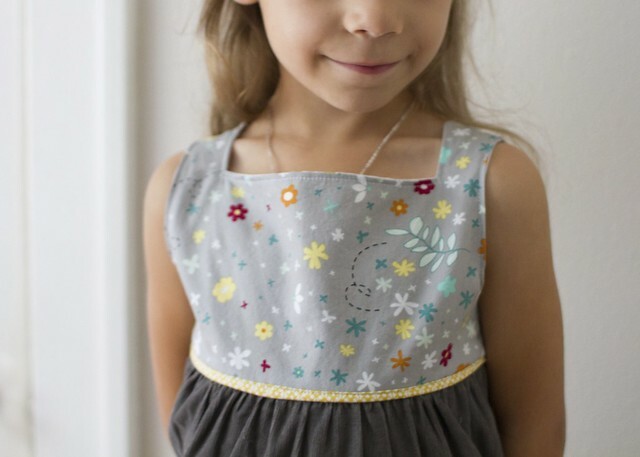 she actually debuted this sweet design as my guest on vintage may this year, so it was a no brainer for me to help her promote the pattern now that it’s been released! i’m so happy with how this little dress turned out! 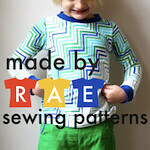 the pattern comes in sizes 2T – 8, has three sleeve options, and actually pulls on with no closures, which could be a bit scary, but the fit is great! the design of the dress is smart in that it doesn’t slip down in any kind of noticeable way. see that little point at the shoulder? i can’t be sure, but i suspect that helps. the stormy fabrics i chose for this dress make me happily fallish. 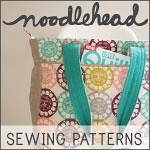 i’d been wanting to use Nordika by Jeni Baker ever since i saw it debuted at Quilt Market this year! 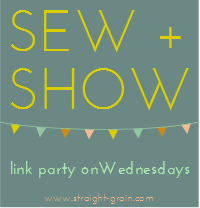 Jeni is such a sweet gal and i really admire her work, so it was fun to showcase her fabric here. this print is called Whimsicöl Mist and it’s part of a panel that’s really stunning. i only had a fat quarter and it was just barely enough! i got it at Bolt of course. the skirt is a wonderfully drapey charcoal gray baby wale corduroy from fabric depot, and the pockets are lined with scraps of gray shot cotton. for a storm-inspired dress, it sure is soft and light! i added flat piping between the bodice and lining but sewed it a bit out of order and had to fold the piping up and stitch it down to make it work. kind of a nice effect in the end. this is a 3T bodice with a 5T skirt to fit my little beanpole. the pockets a tiny bit low because of that two size discrepancy, but just barely. i never know when i sew non pink/rainbow dresses whether she’ll actually like them, but she loves this dress! woo! be sure to check out the versions my co-pattern-tour-stoppers Tara and Sabra made today, too! 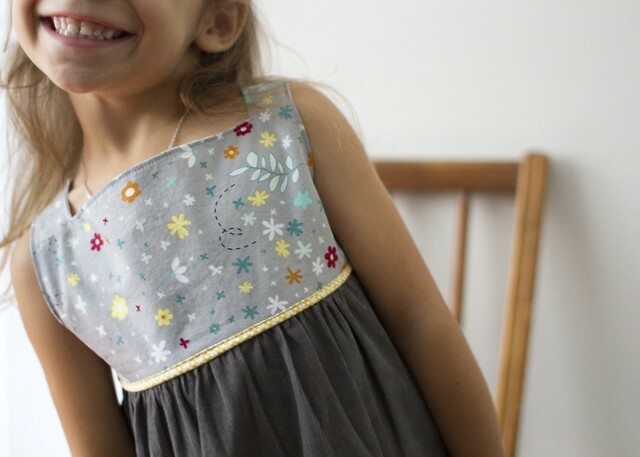 the sally dress is such a great little dress for customization, and i love seeing what those ladies came up with. okay! miss sassy pants wants to know if you’d like to WIN a copy of the sally dress pattern! > giveaway is open until Thursday, October 3 at 9pm Pacific Standard Time Giveaway is now closed. > leave a comment telling me your favorite warm drink to curl up with in a storm. my current addiction is a homemade decaf salted caramel latte – mmmmm so good. 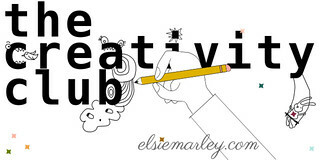 > follow my blog and leave a comment telling me you do so (Bloglovin, email, feedly, your pick). > like skirt as top on Facebook and leave a comment telling me you do so. > like luvinthemommyhood on Facebook and leave a comment telling me you do so. good luck and thanks for entering! hugs. 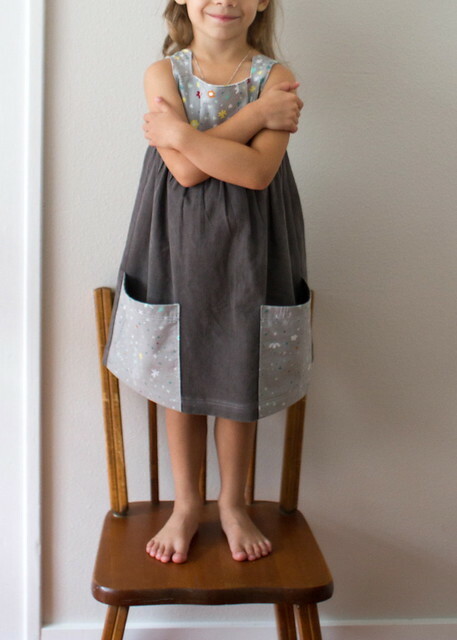 * i received the sally dress pattern in exchange for this review, and was not compensated for the giveaway. my opinions are entirely my own. I love making chai tea, with roobois. I love, love, love Hot Chocolate!!! I drink Starbucks home-brewed coffee every. Single. Day. Bring on the storm! PS: Great job with this dress. I love your fabric selections and that cute piping. I love curling up with tea! I liked you of FB! My favorite warm drink is an immunity booster – squeeze half a lemon, grate some fresh ginger, add a dash of cinammon and some cayenne. Drizzle in a table spoon of raw honey. Top off with desired amount of hot water. Love love this dress!! Chai chai Chai!! I like it hot with honey and half and half. Yummo!! I liked Shannon’s page on FB! I follow you on email!! This dress is sooooo sweet! I love that it can be slipped over the head easily. My kid is at the stage where she has to do everything herself, so she often wears dresses backwards so she can button them all by herself! Great stormy fabric pics, too! 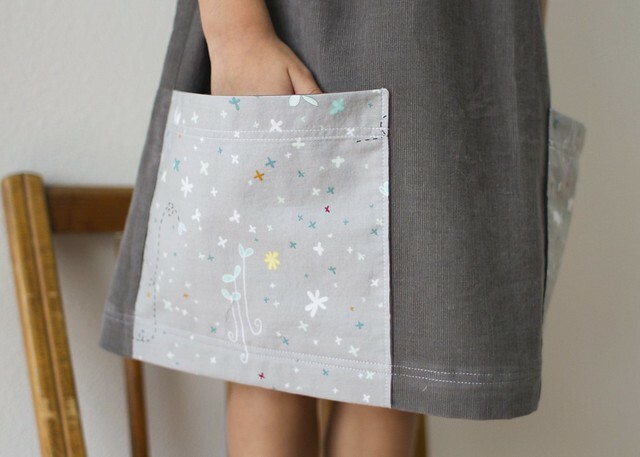 I’m dying to sew this pattern… i’m a fan of those big pockets! Anywho, my fave warm drink to cozy up to is Belgian hot chocolate (whole milk, dark Belgian chocolate, lightly whipped/lightly sweetened/ vanilla bean cream on top). I used to work at a Belgian Patisserie and pretty much survived on it in the cold Winter months! Such a belly warmer. oh, and I follow you via wordpress reader…. AND… I have liked Luvinthemommyhood on FB. Can you tell I want this pattern much? Dark chocolate hot chocolate with low fat cream added and mini marshmallows melting on top while sitting with feet up on a comfy couch watching the storm outside through a huge window. Follow you via Bloglovin’ and email. Hot chocolate for me as well 🙂 I like to mix it from our made-from-scratch chocolate sauce. 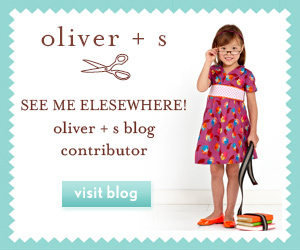 I follow you on Bloglvin. I went I went over and liked you on FB as well. Great job on the dress. I think that corner detail on the shoulder just makes the dress. The more I see Nordika the more I want some! I like luvinthemommyhood on FB as well! Thanks for the give away! so super cute! i love baby cord for fall, just bought some at the depot too! those colors are so calming…and i love that DS piping!! Hot chocolate with a few egg yolks thrown in. This is a great pattern. No zips and huge pockets? I’m in ! I follow you via email and Feedly but prefer via email. E is really becoming a little model- I love it! What a storm we had and your fabric choices truly do match what Mother Nature had in store for us. Wowzer! Very cute dress on a very cute little gal. Love to each of you. um, that’s “chai,” btw. ahem. Liked you on FB. Yay! Liked LMH on Fb. # 5,555. Wow! I love hot cocoa with a dollop of vanilla ice cream on top. I follow on your facebook page. I follow luvinthemommyhood’s facebook page. I love a good chai latte! I like skirt as top on facebook! i like ko,uv in the mommyhood! kristin, i love this dress so much. i wouldn’t have thought to pair corduroy with a non-corduroy fabric but it really works. this dress is inspired! I love a warm cup of Harney & Sons White Peach tea! I can’t go past a Hot Chocolate! I like Skirt as Top on Facebook. And I’m not one for hot drinks, but in a thunderstorm I might go for some hot apple cider. My favorite warm drink to curl up with in a storm is green tea. I’m in love with this dress and I wouldn’t have thought I’d love the gray so much for a little girl’s dress! I LIKE luvinthemommyhood on Facebook! I like Luvinthemommyhood on FB. I like Skirt as a Top on FB. I like a drink called spicy tang. It is like spiced cider, but instead of being apple flavored it is orange flavored. Or Stephens hot cocoa. YUM! Just a cup of coffee and a splash of milk. Hmm WARM drink you say… so the red wine, or the Bailey’s on ice are out…. Then it’s a cup of Twining’s Earl Grey tea. And I LOVE storms! I’ve been “luvin'” luvinthemommyhood on FB for a while! 🙂 All you ladies are so full of inspiration! Starbucks Hot Cocoa – mmmm. or really, most any hot chocolate. with whipped cream. cinnamon. or toffee/caramel syrup. hazelnut syrup. actually, I love hot spiced cider in the fall, too! and have you tried hot spiced cranberry juice? (or cranapple or cran-raspberry) mmmmm. i follow your blog thru email. i like skirt as top on fb. Sweet dress! A drink for curling up with would be a cinnamon latte… and my knitting too, with my little one happily playing and a roaring fire. Bliss! A warm cup of decaf tea, with milk and honey! I liked you on Facebook as Hamster and the Bee! And I’m following you via Feedly! Love the dress!!! A cup of Harney & Sons tea always keeps me cozy! I really love the pockets on this dress. And love that Em loves it despite it not being pink 🙂 Current favourite stormy weather drink is tea, milk, and honey! this is so gorgeous, K! I am in love with the fabrics…I can’t wait to talk fabric with ya next week!! EEK! NEXT WEEK!!! Ok. back to the dress. Em looks so cute in it, you can tell she loves it. the piping adds a really fun pop to the dress, to. So basically, ya awesome.